In Middle School, students study subjects of secondary education as centralized in the inquiry program of the International Baccalaureate. Students study with teaching materials which adopt the International Baccalaureate education. 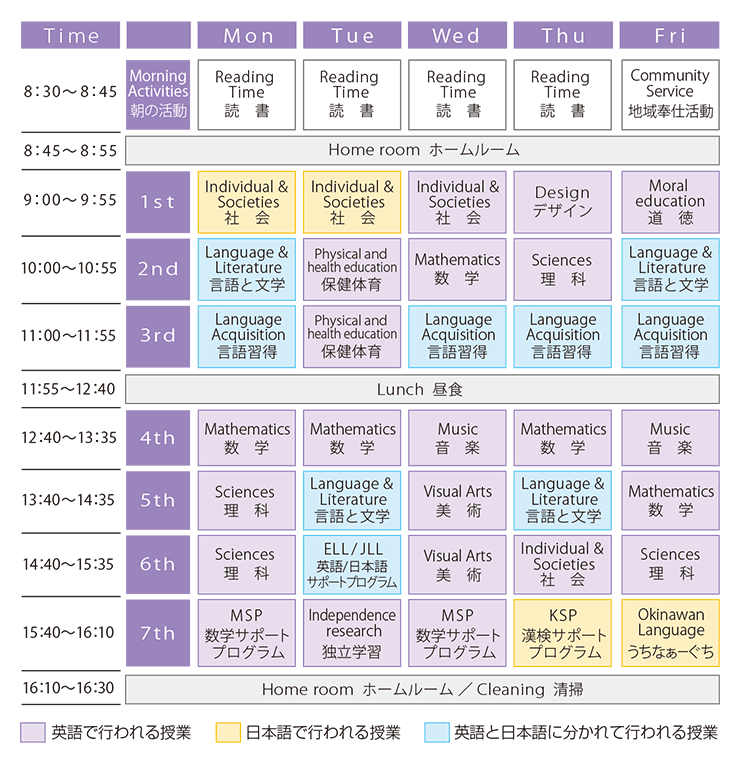 A class teacher and a curriculum coordinator study the material together [Interdisciplinary Learning] and create teaching plans. 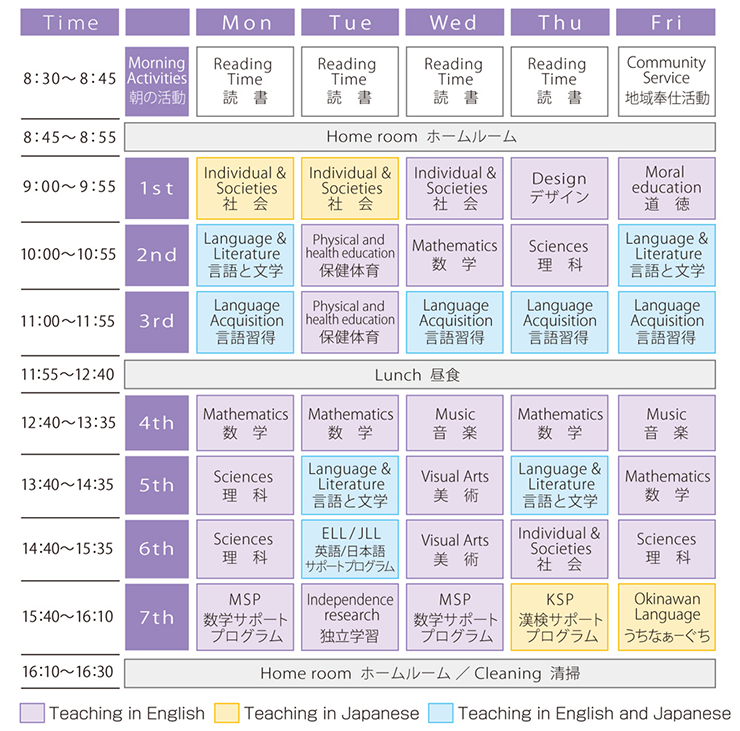 In Middle School, most of the classes are taught in English. We create an environment for all of the students to be able to achieve IB learning by supporting an individual’s English learning level and setting a support program for supplementary lessons for math and examination preparation.